I will talk about my long term project The Mother Mountain Institute, part of the roundtable discussion about International adoption with Amandine Gay. How are children being made available for international adoption? In our globalised world, the intersecting oppressions of race, class and gender have a tangible impact on the lives and the agency of mothers in the global south. What are the conditions under which children are separated from their first families? A library project by Sara van der Heide as part of the 5th Guangzhou Triennial / 1st Asia Biennial, Guangzhou (China). *Much has been said and written about the controversy around the Biennale's main sponsor Transfield, and I hope the discussion continues. 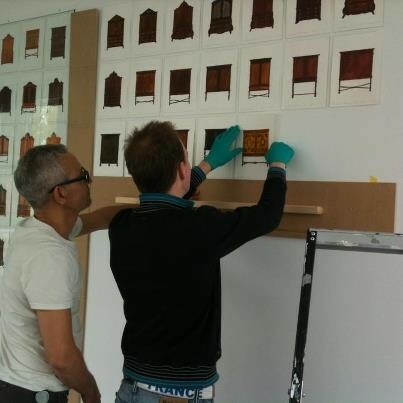 A few weeks before the opening I made the decision to withdraw my work from the Biennale of Sydney as this was no longer in line with my ethics and the work I was going to present. Furthermore I did not see the polarized Biennale as the right stage to perform on. It was a difficult decision as the idea to 'boycott' the arts is a negative one, but under these cirumstances for me the only right decision. For more elaborative writing on the subject find some texts here on the website of Discipline. Marres, Centre for Contemporary Culture, Maastricht. 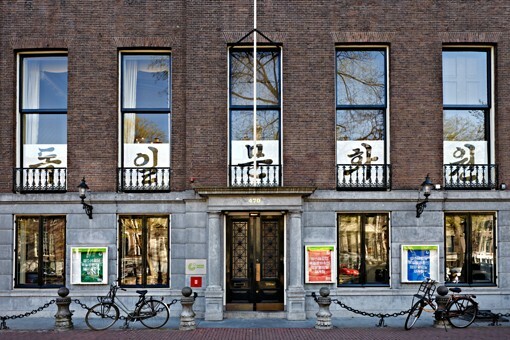 Over the course of one weekend, the Goethe Institut Amsterdam will become the now closed Goethe-Institut reading room Pyongyang. artist talk as part of a series of intimite talks on the creation of languages and the politics of the self. The reading by Mark Bellamy will be accompanied by Van der Heide’s new work, Art History (2011), which will be shown for the first time.